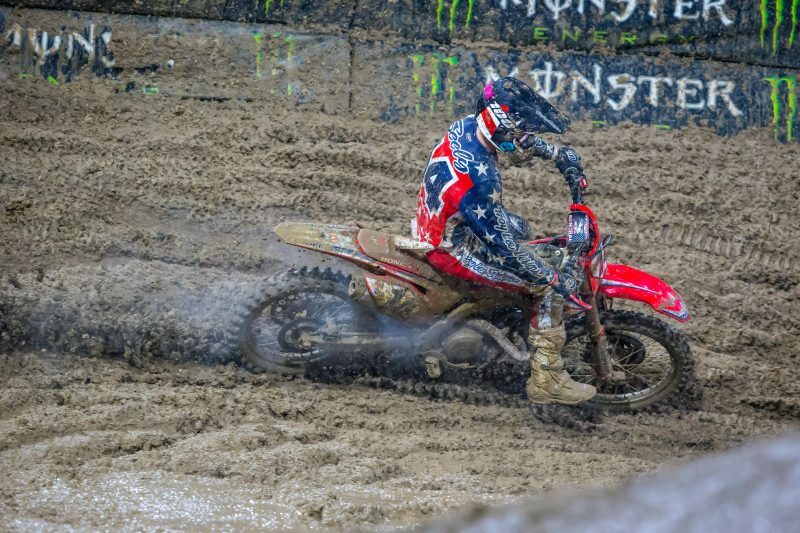 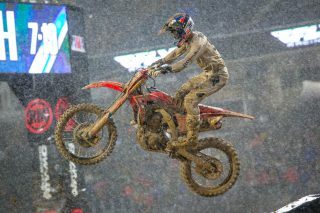 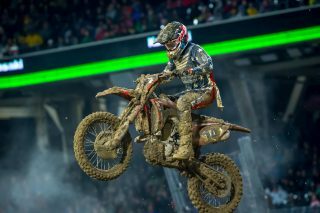 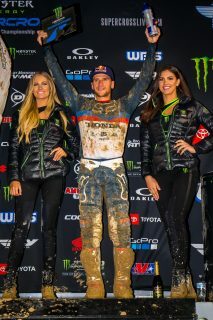 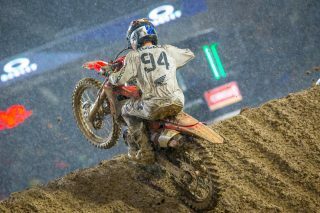 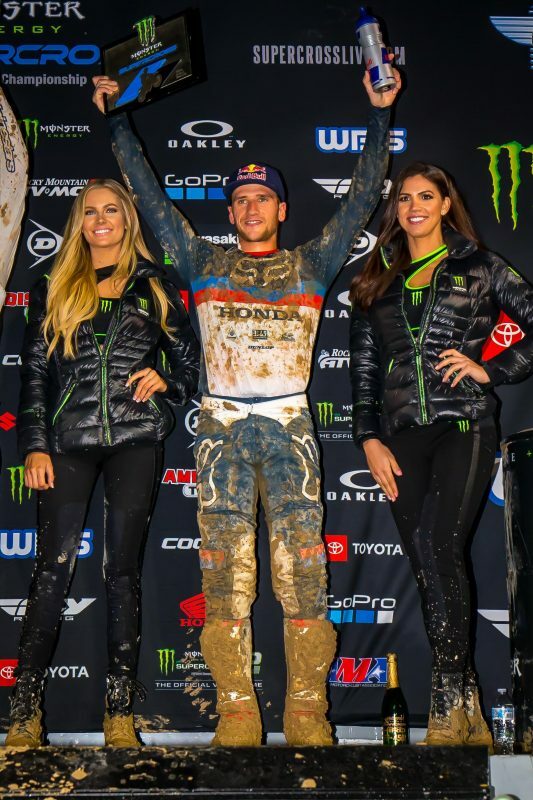 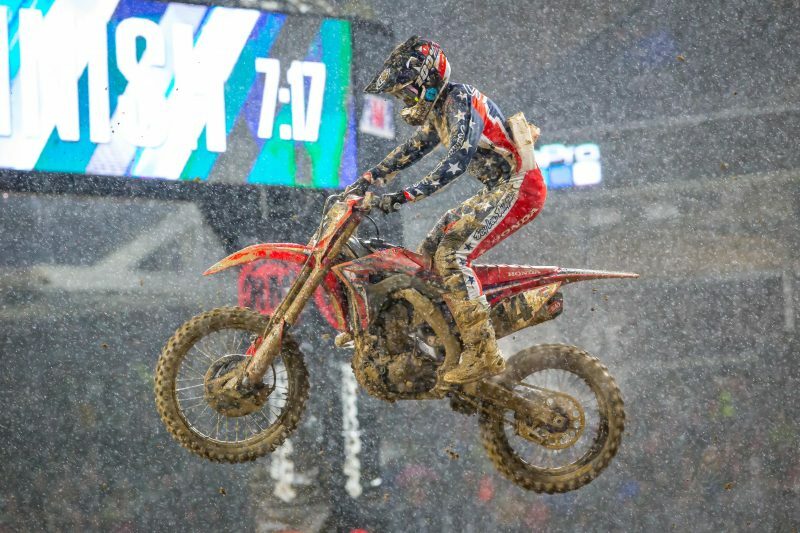 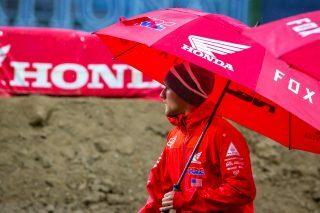 The muddy conditions that followed an afternoon and evening of rain for round five of the AMA Supercross series at San Diego’s Petco Park made things extremely difficult, but Team Honda HRC’s Ken Roczen fought through the shortened 15-minute-plus-one-lap 450SX main event before taking the checkered flag in third. When the gate dropped, Roczen rocketed his CRF450R down the sludge-covered start straight, securing the holeshot. 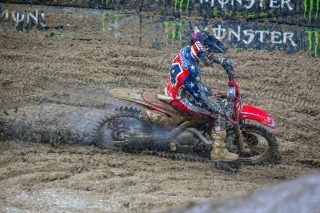 Unfortunately, he went down in slippery turn two, falling to fifth. The German quickly regained his composure, moving up to fourth by the completion of the first lap. 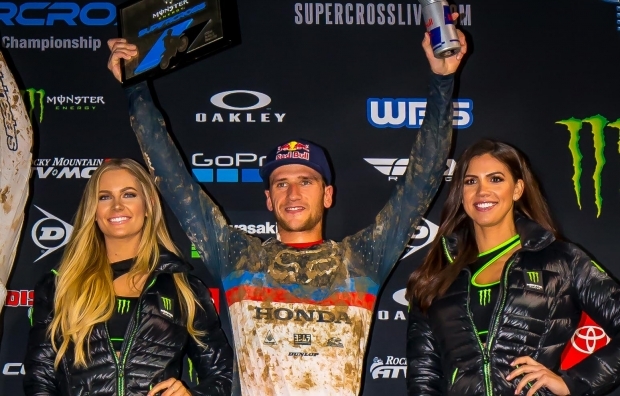 Roczen then took advantage of a mechanical issue by Justin Barcia and a mistake by Justin Bogle to move into second, but was overtaken by Marvin Musquin on the final lap. 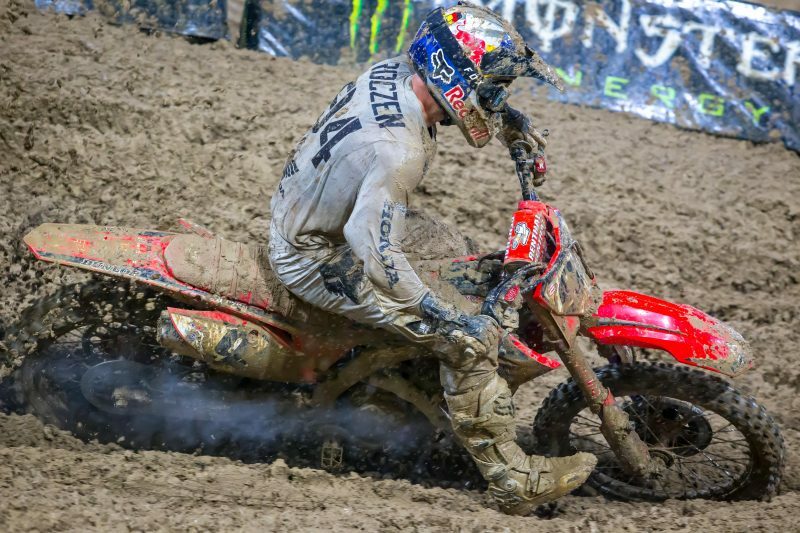 It was a challenging event for Roczen’s teammate Cole Seely, who got off to a poor start and was left covered in mud as a result, prompting an early visit to the mechanics area for a fresh pair of goggles. 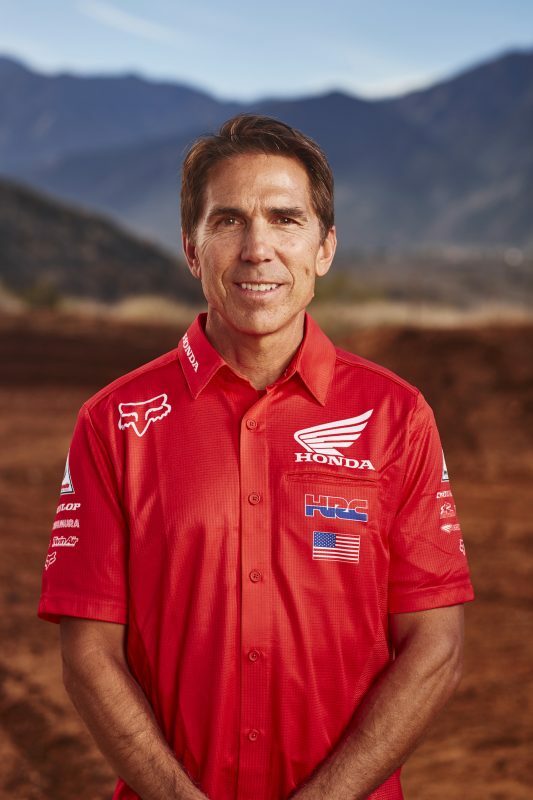 After returning to action, Seely struggled to stay upright on the treacherous track, falling twice during the 12-lap race before finishing in 14thplace. 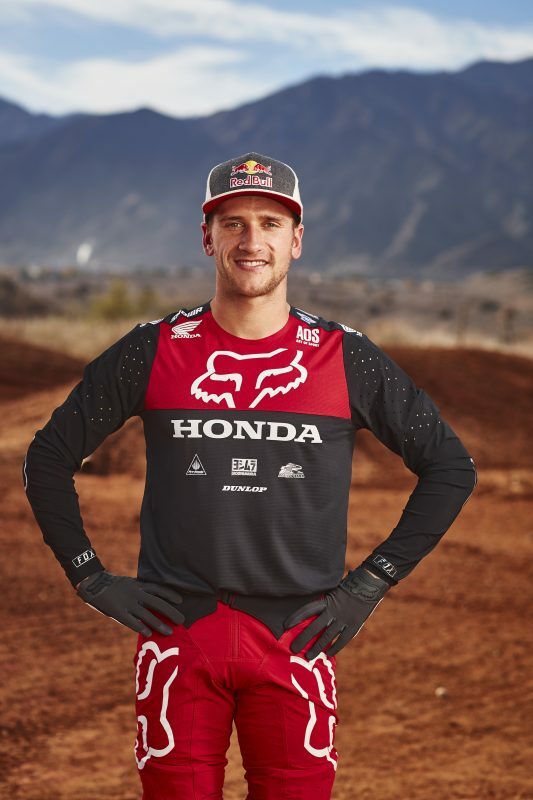 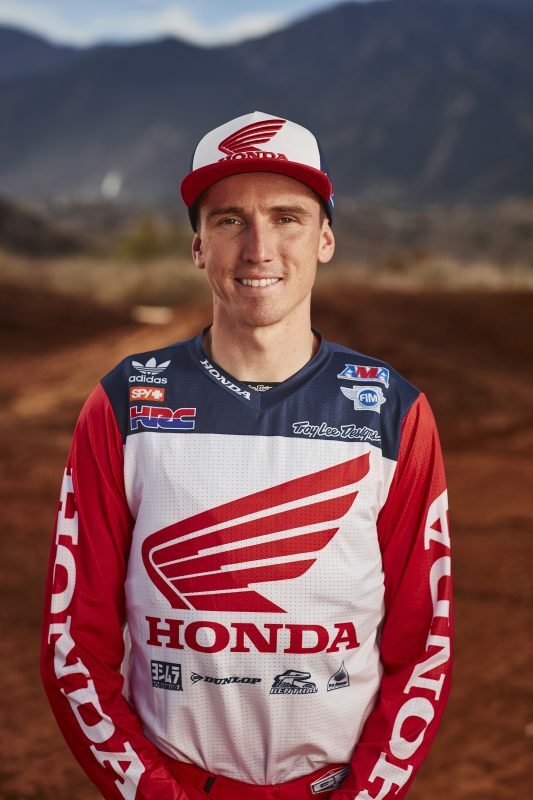 On Friday, Team Honda HRC’s Cole Seely and Ken Roczen were joined by GEICO Honda’s RJ Hampshire and Cameron McAdoo for an autograph session at Del Amo of South Bay, where hundreds of fans turned out to meet their favorite riders. 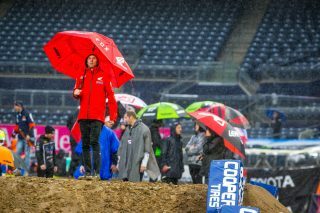 For the first time this season, officials opted to revise the schedule, prompted by rain leading up to the race and an ominous forecast. 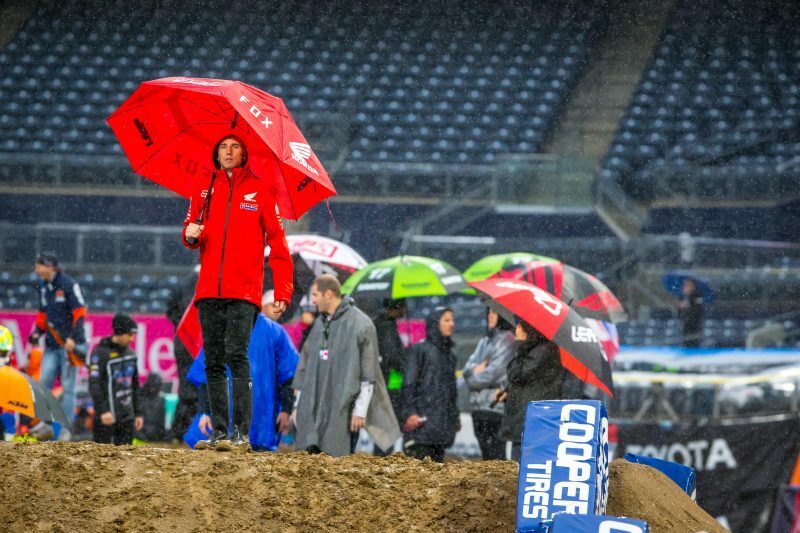 The free-practice session and first timed practice session were cancelled, leaving riders with only one opportunity to qualify into the evening program. 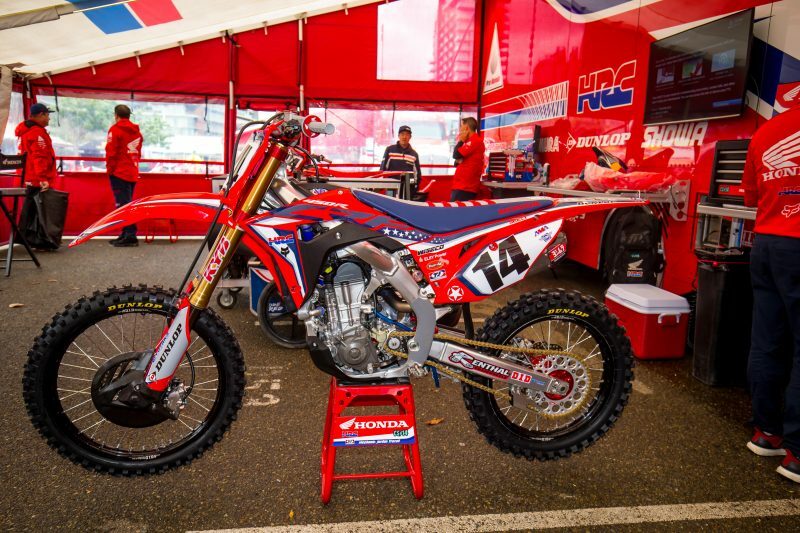 Seely and Roczen scored the 11thand 12th-quickest times. 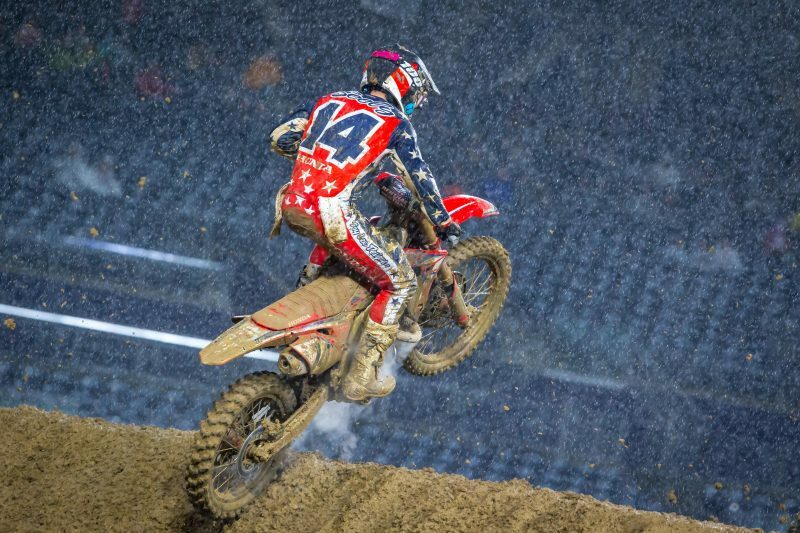 Once again, San Diego featured a Military Appreciation theme, with bikes and riders donning special graphics and gear to show their support. Throttle Jockey created individual custom schemes that coordinated with Seely’s and Roczen’s gear. 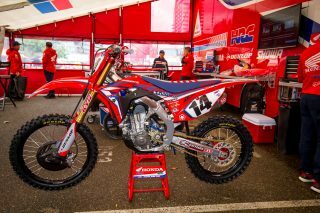 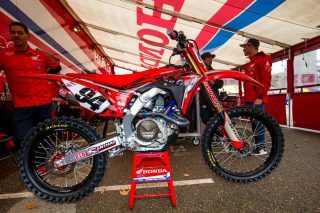 Fans can purchase their own Team Honda HRC military graphics at www.ThrottleJockey.com. 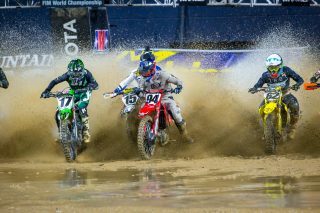 It was a challenging night for GEICO Honda’s 250SX West region riders. Cameron McAdoo struggled around the mud-covered track to finish ninth, while teammate RJ Hampshire placed 15thafter running a solid pace, crashing, and fighting to remount his bike in the thick sludge. 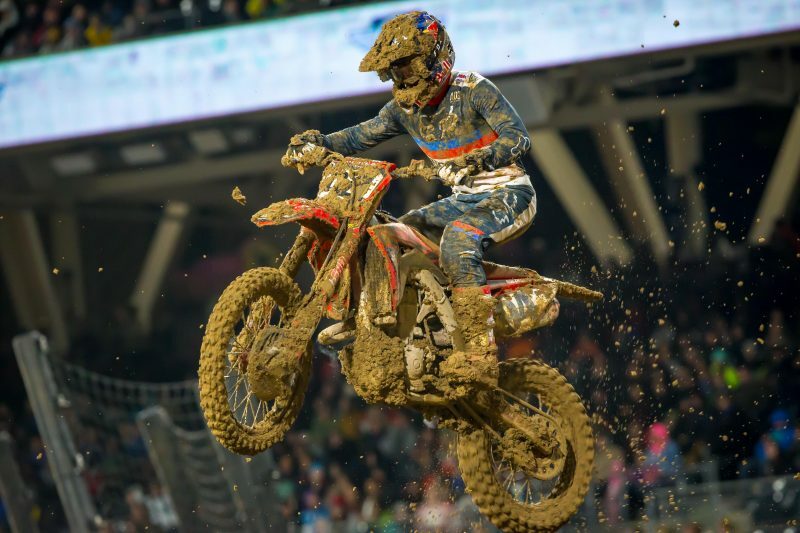 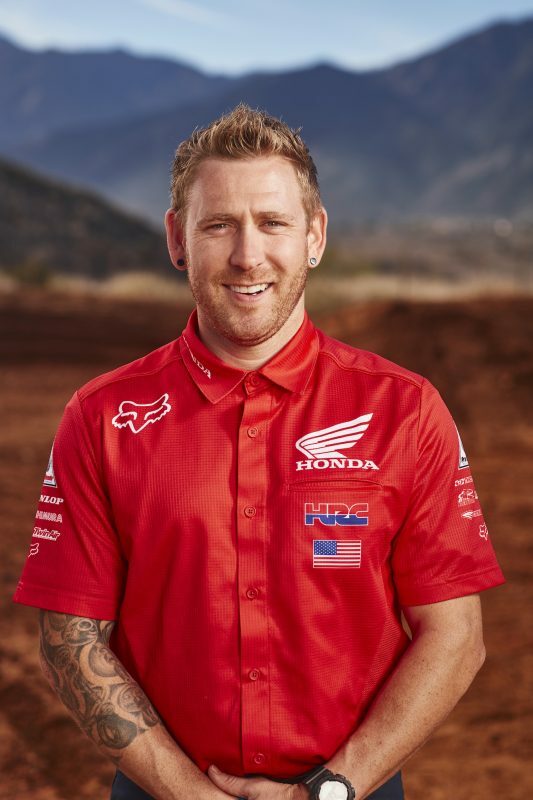 This coming Saturday, Team Honda HRC will head east to campaign round six of the AMA Supercross series, in Minneapolis, Minnesota. In the 250SX class, this will mark the opening round for the Eastern regional series. 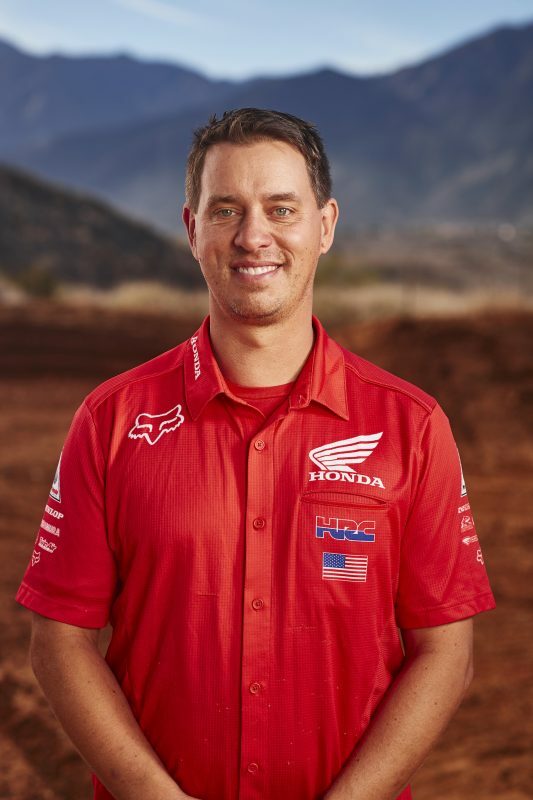 On Friday, Honda Red Riders will make an appearance at Shakopee’s Cities Edge Motorsports, starting at 6 p.m.